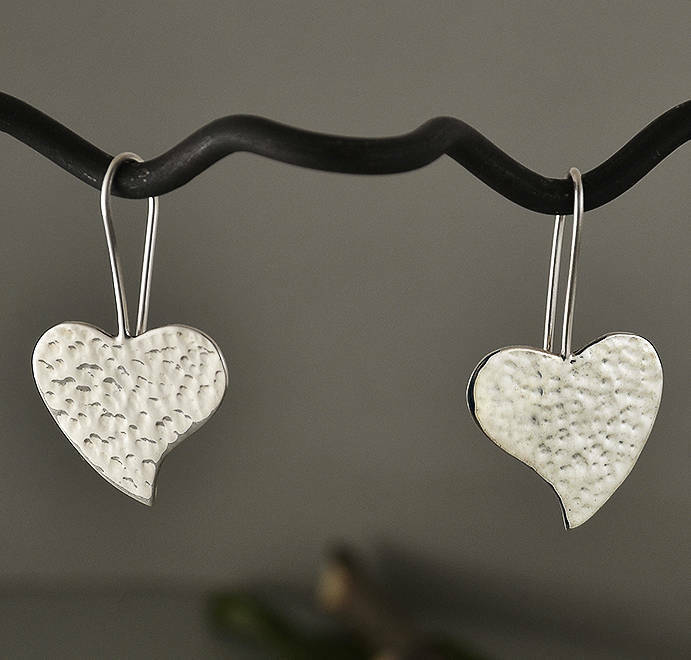 Sterling silver dangle or drop heart earrings. 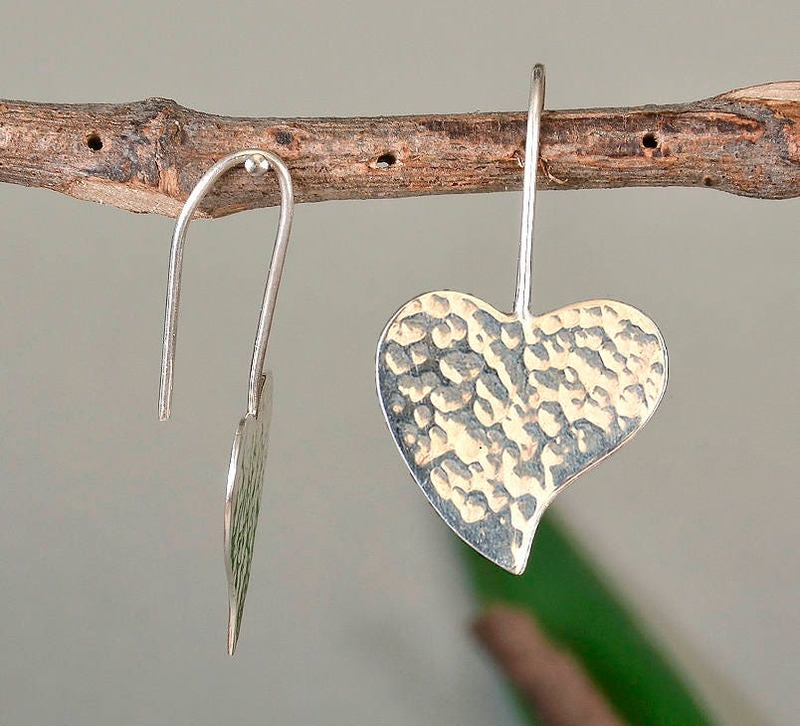 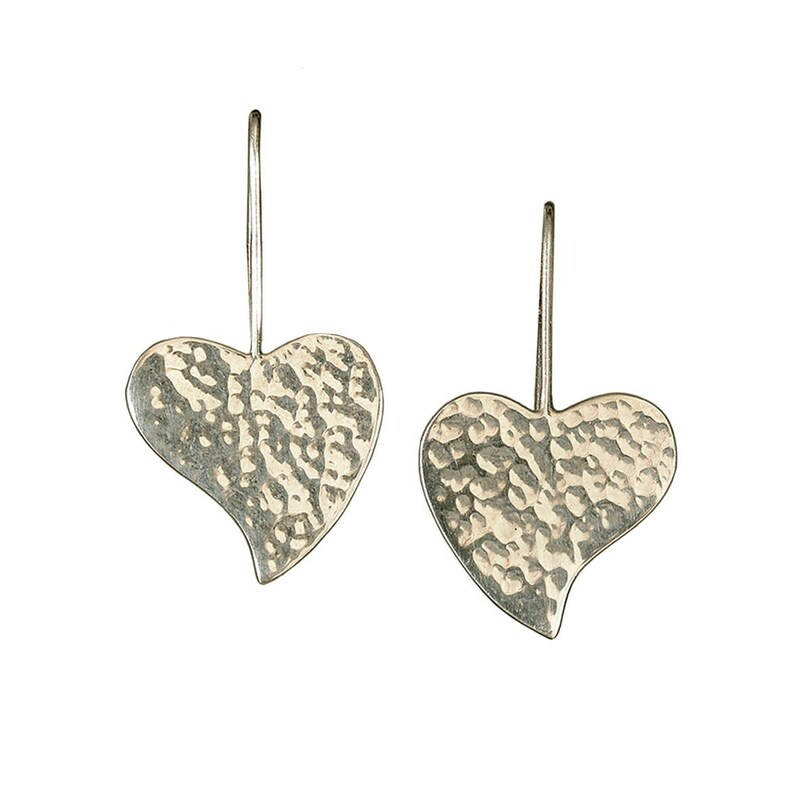 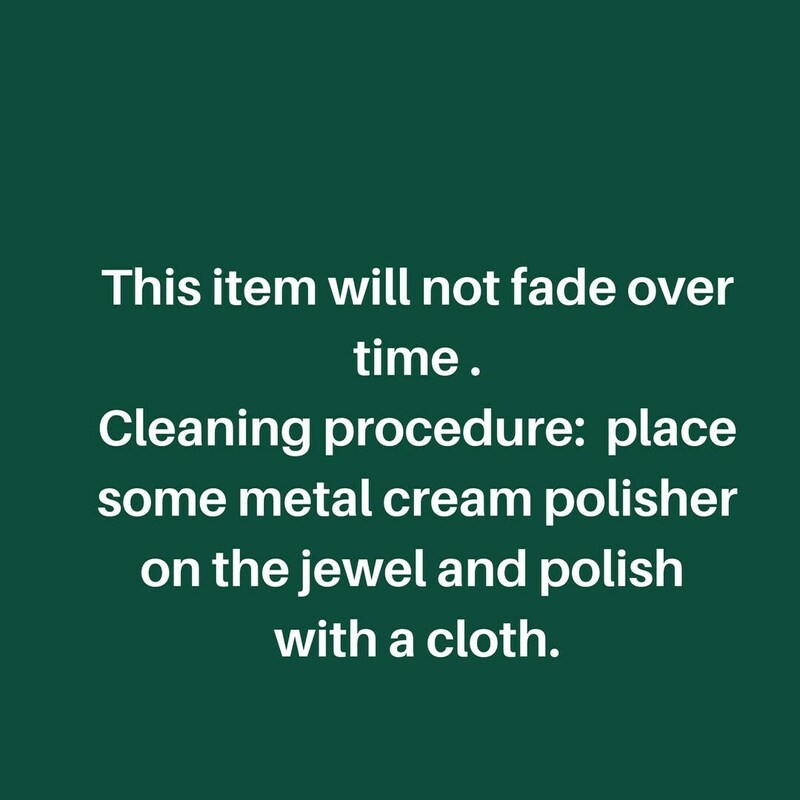 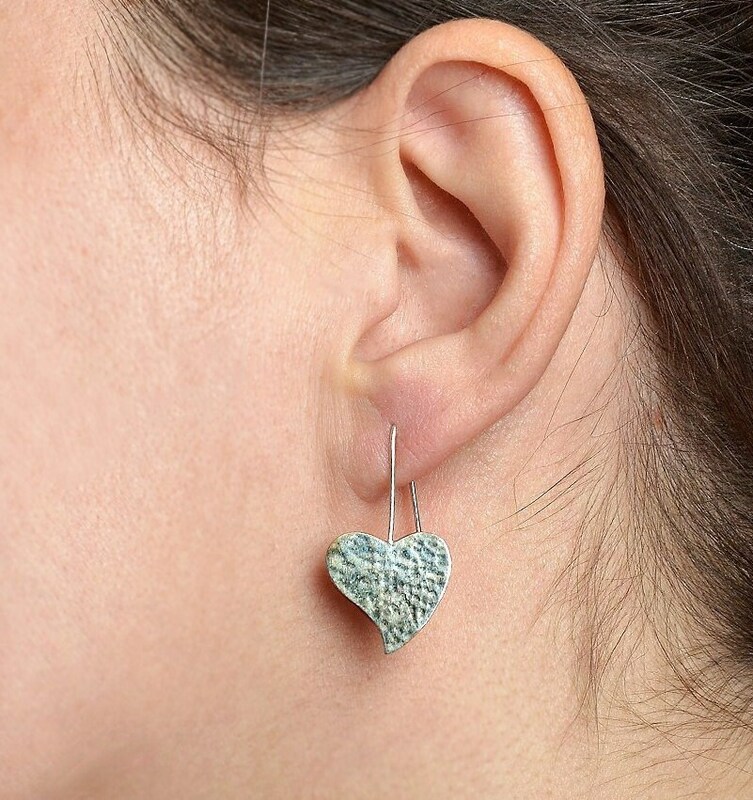 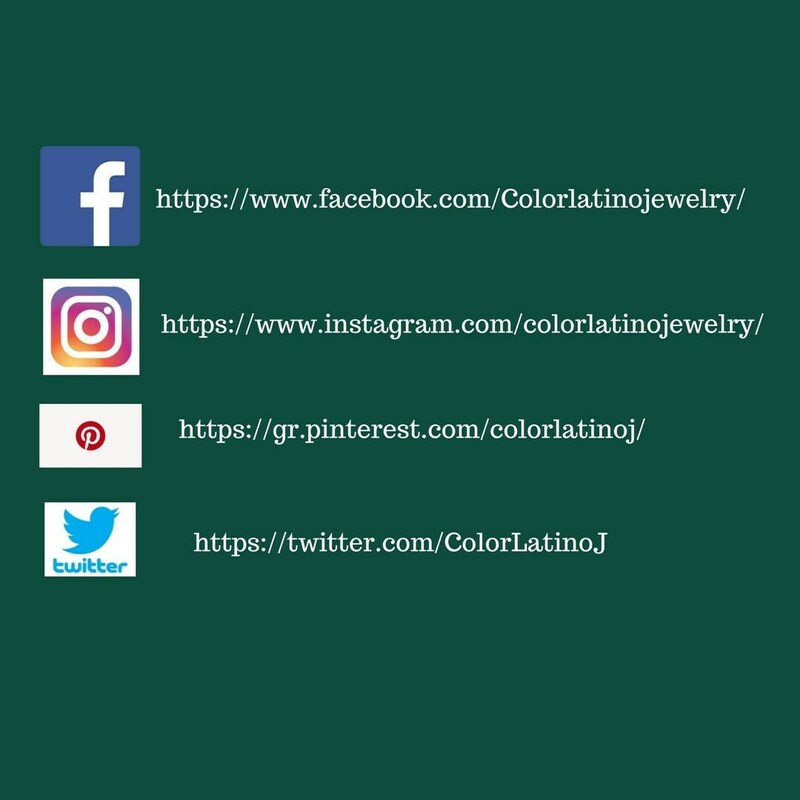 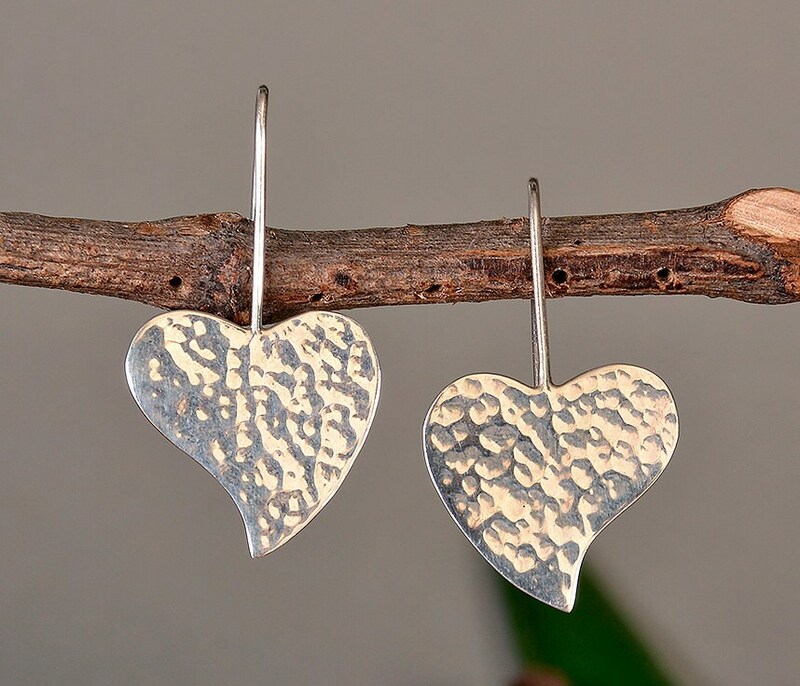 If you are looking for a pair of hammered silver earrings for a romantic inspirational or valentines gift, these long plain earrings are an excellent choice from our silver heart jewelry collection. 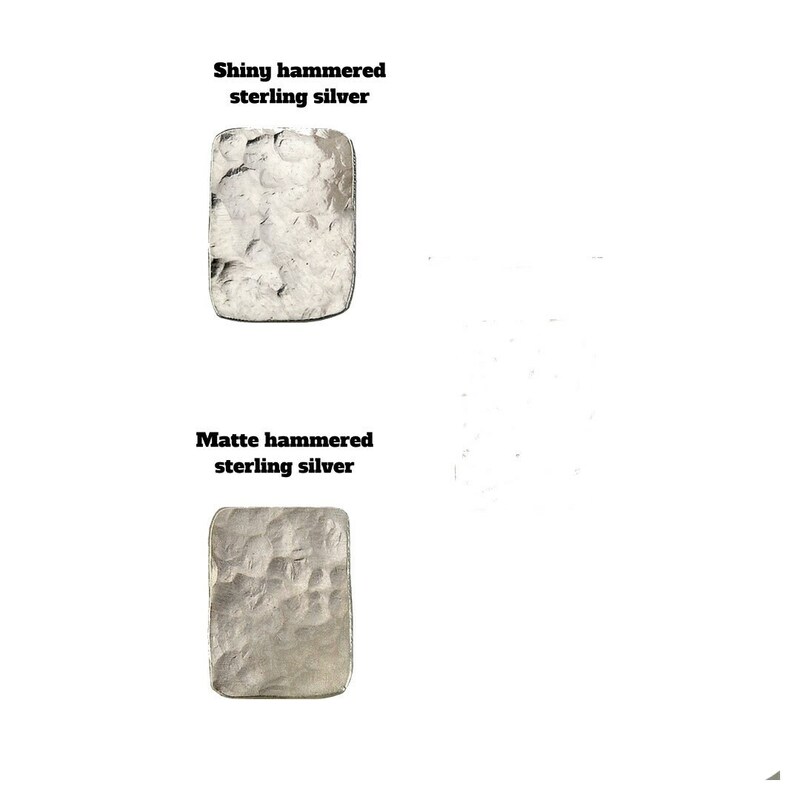 Designed, cut hammered and polished by hand.